The MiniMove responds to the testing needs of card and handset manufacturers, application developers and network operators for a very small, USB powered quality trace tool which helps to ensure interoperability between the individual components involved with the (U)SIM interface. 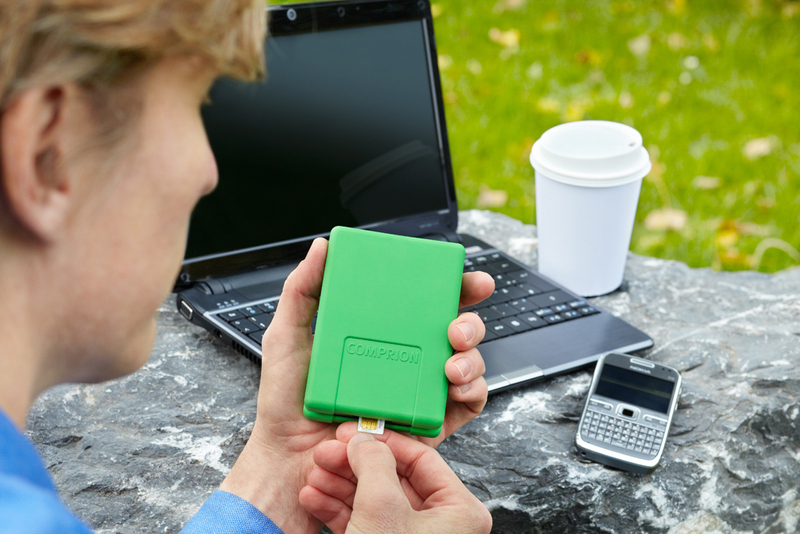 MiniMove detects communication errors between handsets and Smart Cards and analyses them accordingly. With dimensions of only 82 x 116 x 31 mm and a weight of only 310 grams, MiniMove is smaller than most of the spy tools existing today. As the tool requires little energy, the tracer can be powered by the PC via USB. Thus, the freedom and flexibility to test anytime, anywhere has never been higher, making MiniMove the ultimate tool for testing in the field, development testing in the lab, technical support tasks and interoperability testing for quality assurance. Despite its small size, it is packed with high quality features that the user expects from COMPRION tools. MiniMove offers the familiar powerful monitoring capability of COMPRION on all defined Smart Card interfaces: ISO/IEC 7816, SWP/HCI and IC-USB. As with other COMPRION tools, the recorded bytes are translated into comprehensive content and are displayed in a user-friendly way. “With its size and its USB powered design, our MiniMove defines a new standard for ISO, SWP/HCI and IC-USB monitoring. The tool stands for COMPRION quality at an attractive price.” states Michael Jahnich, responsible Product Manager at COMPRION.